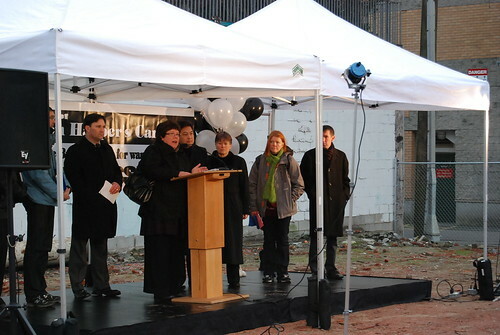 (Vancouver) Vancouver NDP MPs Libby Davies and Don Davies joined community organizations, labour groups and local political representatives today to call for a national housing program in next week’s federal budget. Davies says she plans to reintroduce a private member’s bill in the new parliament to define housing as human right. Vancouver Kingsway MP Don Davies emphasized the economic benefits of federal investment in affordable housing. Both NDP MPs say their party will push to make federal investment in housing a priority when Parliament resumes on January 26.